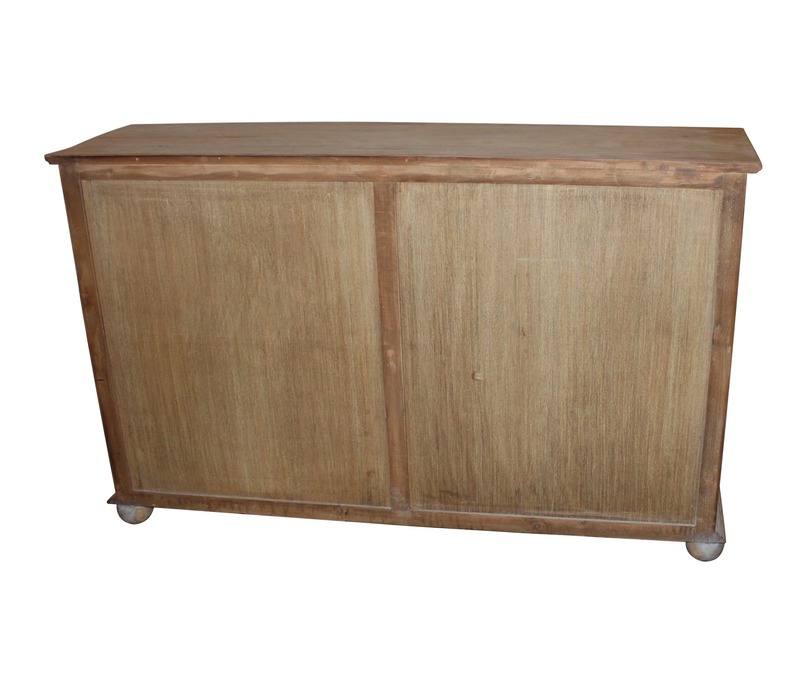 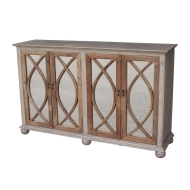 Grayson Sideboard 65" - White x White - Antique and Fine Decor for the Home. 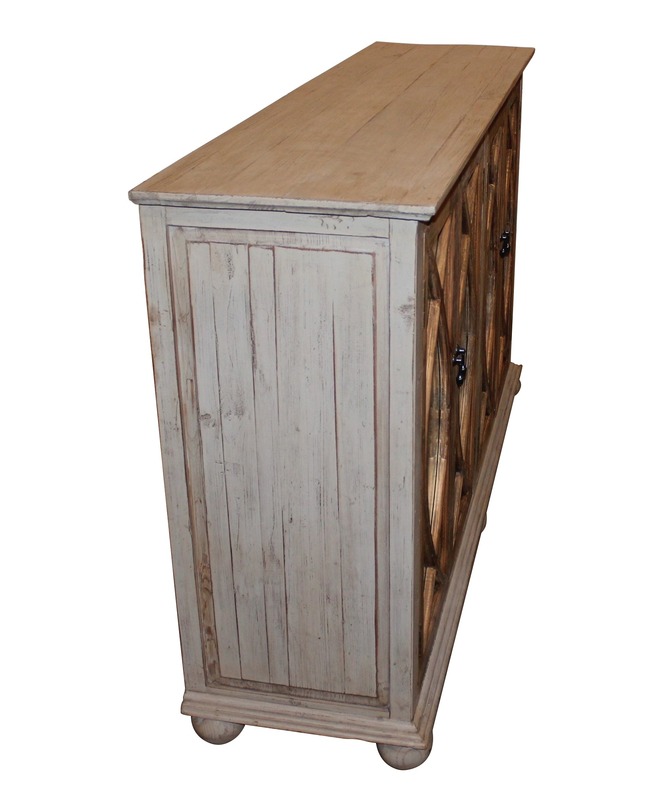 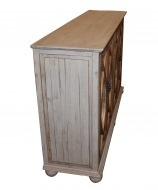 All hand made of solid reclaimed pine, with a gray distressed paint finish accented with natural pine. Four doors with mirrors and iron finish elongated knobs. 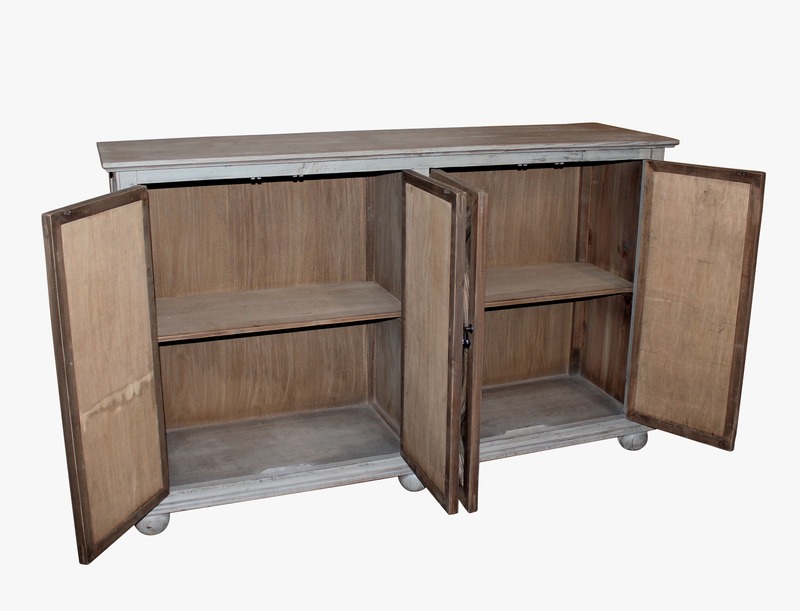 One non- adjustable shelf behind each door. Will likely have nail holes, knots and other imperfections, adding charm and character.